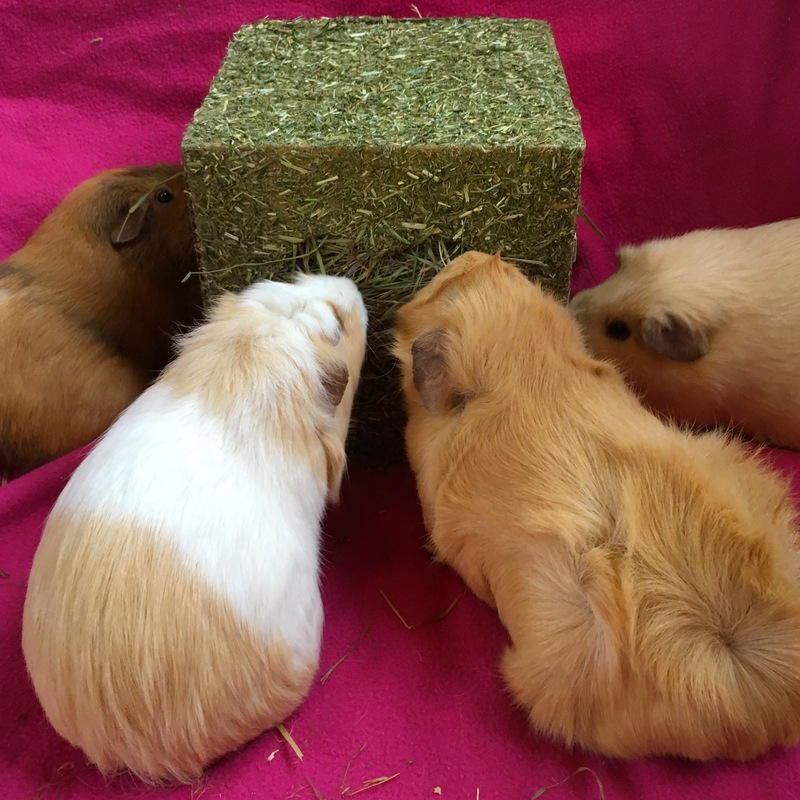 Today the Squidgypigs are delighted to be reviewing the Rosewood I Love Hay Cube. 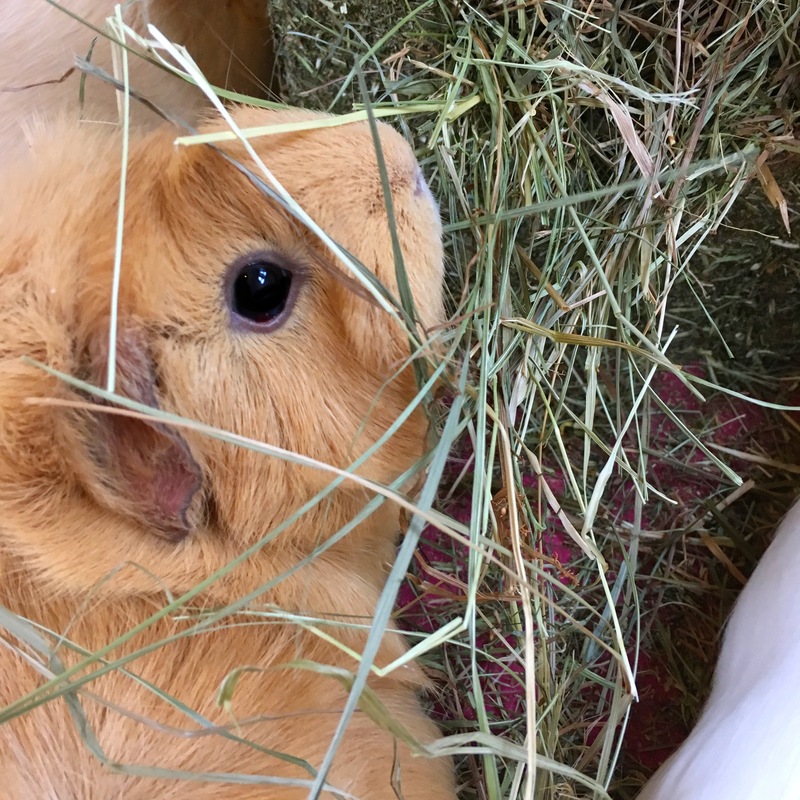 What is the Rosewood I Love Hay Cube? A hay coated parchment box. 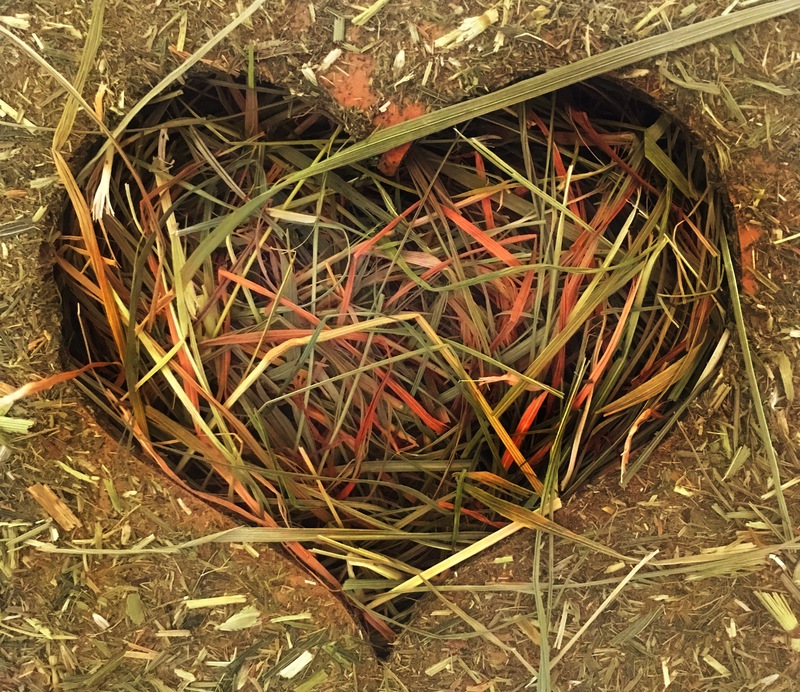 Filled with hay and marigold. 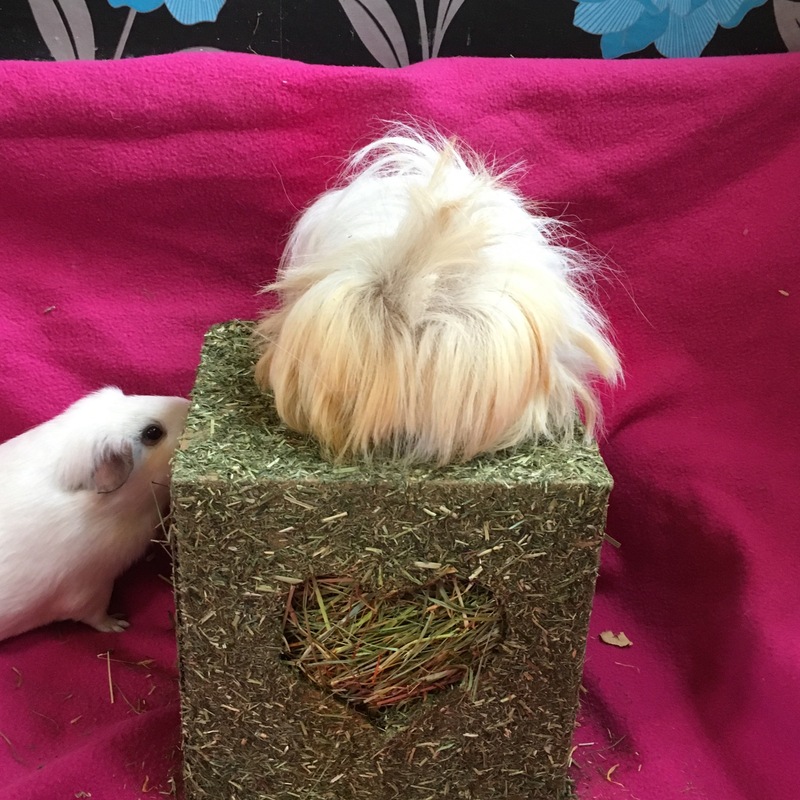 What can my Guinea Pigs do with it? What can a human do with it? 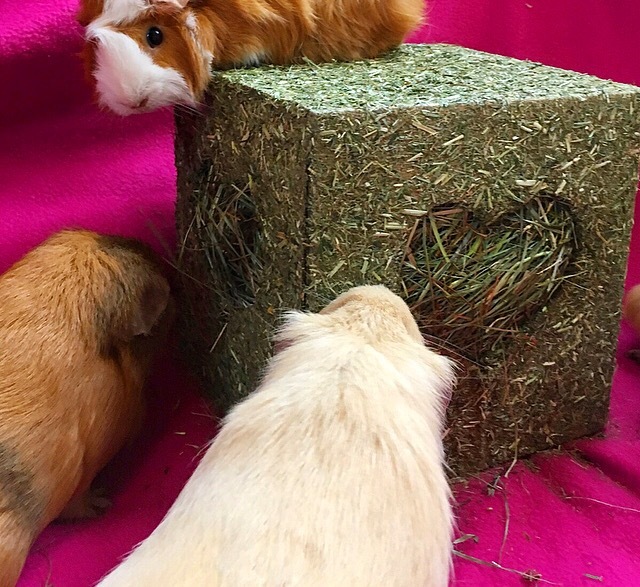 Where can I buy a Rosewood I Love Hay Cube? From all good independent pet shops. 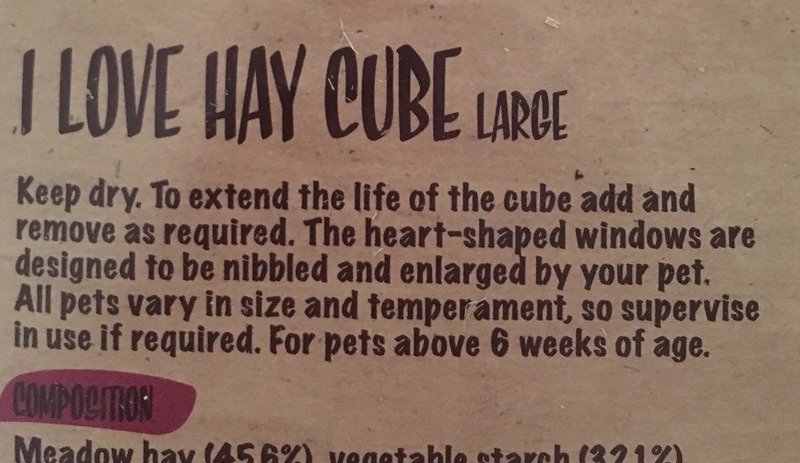 The I Love Hay Cube has the wonderful “running through a summer meadow” smell that I’ve come to associate with Rosewood’s meadow hay and hay parchment products. This is especially good for visual impaired pigs like Football and Britney. 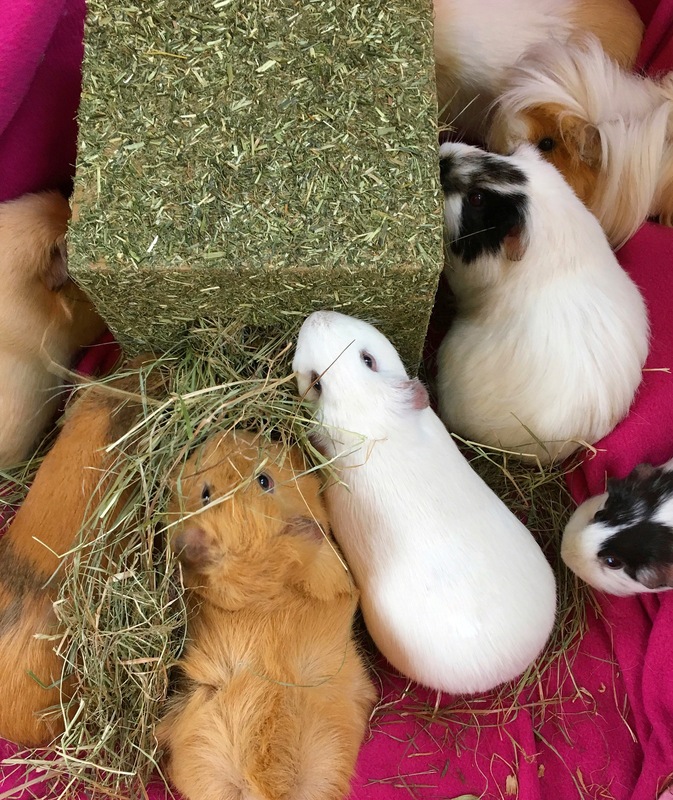 I cannot emphasise just how much hay is crammed into the I Love Hay Cube! Even with 12 big fat fluffeh girly Squidgypigs attacking it there was plenty of munch left after 30 minutes! 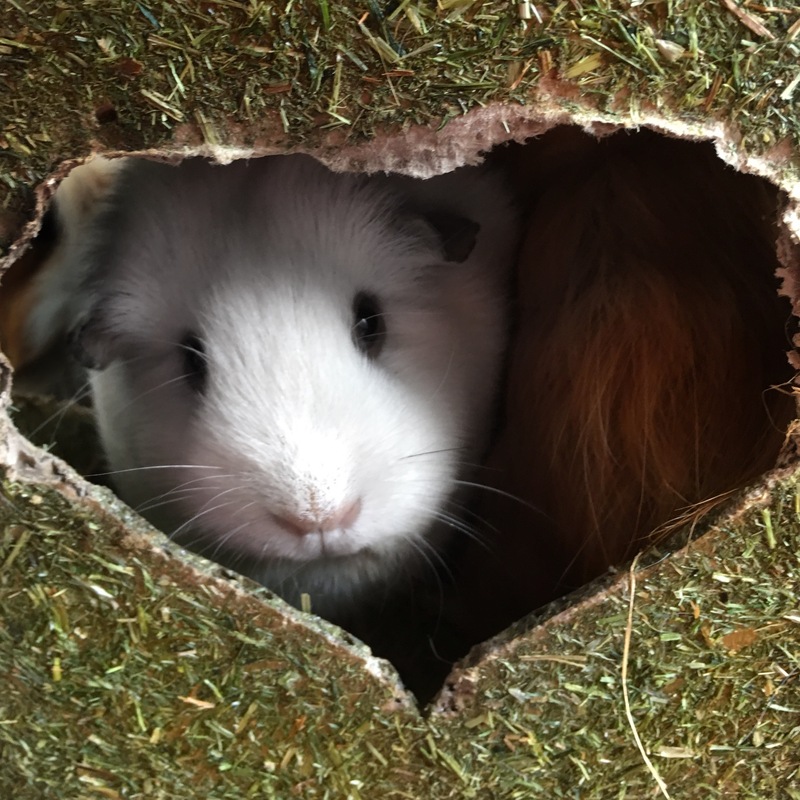 The heart shaped holes are a good size and if you have an adventurous pig they will have no problem climbing in to get the best bits of hay (especially once they have chewed the holes bigger!). The whole product is a hit and had clearly been deemed delicious by the Squidgypigs. I love your reviews. Gotta get these.